It happens all the time: You get into a fender bender, and the other driver begs you not to get the police involved. Maybe they don’t want any more points on their license; maybe they’re just in a hurry. Whatever the reason, you have to call the police anyway. That sounds so mean, right? What if the other driver is a dad with two little kids, or a grandma heading to church? Doesn’t matter. Without that police report, insurance companies have no way of knowing what happened — and there’s no reason for them to trust your version of events. The other driver may apologize and promise to pay for everything, only to turn around and lie to their insurer, claiming the accident was your fault. That’s why after a car accident, filing a police report is absolutely crucial. Here’s what you need to know. If no one’s hurt in a car accident, it might feel weird to call 911. Is it really an emergency? Do it anyway. Calling 911 doesn’t mean ambulances and fire trucks will come blaring down the street; you can explain to the dispatcher that you had a fender-bender and you just need an officer to take a police report. If you know your local police non-emergency number, you can call that too. If anyone was injured in the accident, emergency services will arrive right away; but if everyone’s OK, it might take a while for police to show up. Sometimes, police come and then have to leave before filing a report, because they’re called away for a more urgent situation. Be patient. If officers tell you they have to leave, ask if they can send someone else. Remember that without the report, you have no proof an accident wasn’t your fault. Even if it was your fault, you’ll want an official accounting of what happened. Once you and your vehicle are in a safe place (out of travel lanes, and/or marked with flares or reflective signs, if possible), you should make your own report. Take pictures of both vehicles and the scene of the accident, from multiple angles. Get the other driver’s name, insurance information, license plate and VIN (the vehicle identification number on their car and registration). Get the responding officer’s name and badge number, too. Write down — or record yourself saying — the facts of the incident, as best you can. What time was it? What direction were both cars driving? If another driver, a passenger or a pedestrian saw the accident, get their contact information in case you need a witness. (This is tough to do, obviously, because most drivers zoom away). The shock of a car accident can make even the calmest person freak out. The other driver might be angry or threatening. 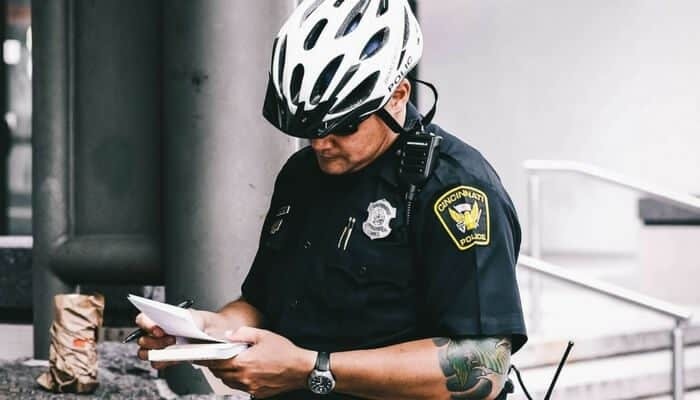 The police officer may ask you to sit in the back of the cruiser while he or she takes the report, and that doesn’t feel good — even if you’re totally guilt-free. And you may be so rattled by the experience that you forget what you’re supposed to do. The solution: Call your insurance company. You have to do this anyway after an accident, and the insurance rep can help calm you down and talk you through what you need to do. If you need to file a claim, you can start the process then. If the person on the phone is hard to reach or unhelpful, you know it’s time to switch to a different insurance company. You might be able to pay less for better service. Find out by comparing quotes on Compare.com! What if the police never show? It happens, especially during busy times like rush hour or snowstorms. They may also decline to file a report. 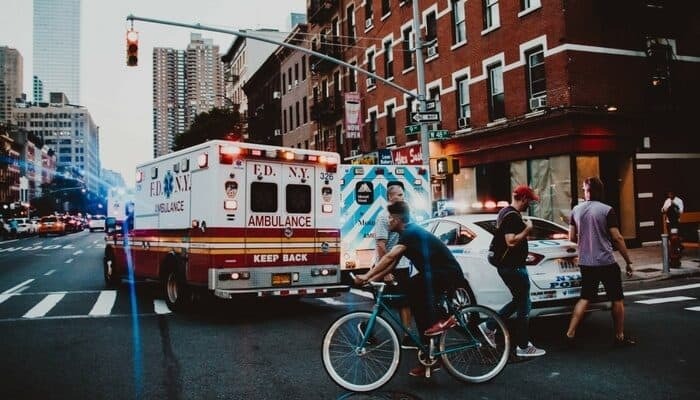 If there are no injuries, and the property damage is under a certain threshold, police may not be required to do it (this depends on your state’s laws). If, for whatever reason, you can’t get an accident report from the police immediately, you can still do it on your own. Every state has its own rules, but many police departments will give you up to 72 hours to file an accident report. Call the police non-emergency number to ask how and where to file your report. Who knew there was so much paperwork associated with a car accident? In some states, you have to notify the DMV if you were involved in a collision. In California, for example, you have to file an accident report if there was an injury, death or property damage costing more than $1,000 — whether or not you’re the driver at fault. Even if the accident seems totally straightforward, you should request a copy of the accident report. You may be able to do this online, through the DMV, or by phone. Once you get the report, read through it to see if it matches your memory. Police officers aren’t infallible, so check the details to make sure nothing was mixed up. What if the police report is wrong? If a name, location, or other factual detail is wrong, you can ask for it to be fixed. If the report says the accident was your fault and you disagree, however, there’s not much you can do. Negotiating the complex world of police reports, accidents and claims can be at best confusing and at worst upsetting. At least getting a good deal on your car insurance is much easier. Compare quotes for free today with Compare.com and see if you can save money on your policy, even after a claim.